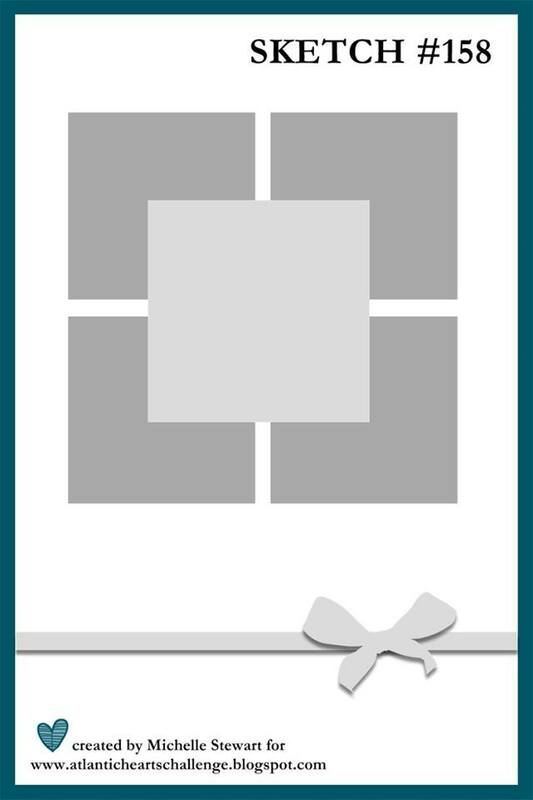 For my card this week I started with a white cardstock base and cut another white panel slightly smaller than the base. To create the grid design on the background I used washi tape to create a mask on the panel. I then used Glass Bead Glitter Gel along with a Tim Holtz stencil to create a subtle polka dot pattern. For the focal point of the card I used two circle dies from Big Picture Classes on fabric & vellum. 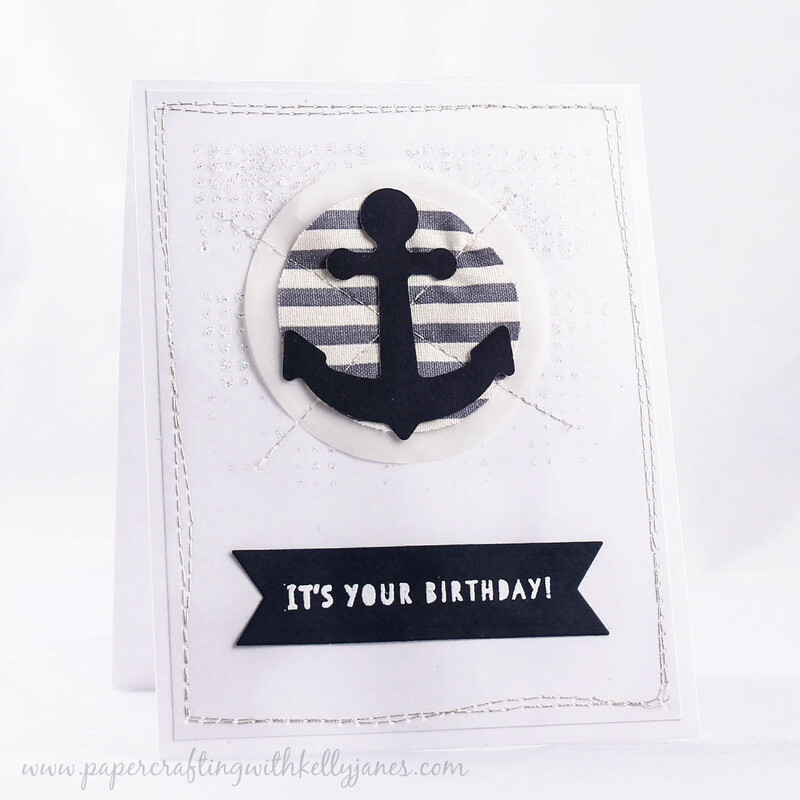 I then cut an anchor from (retired) CTMH Outdoor Denim Cardstock using a Hero Arts die. 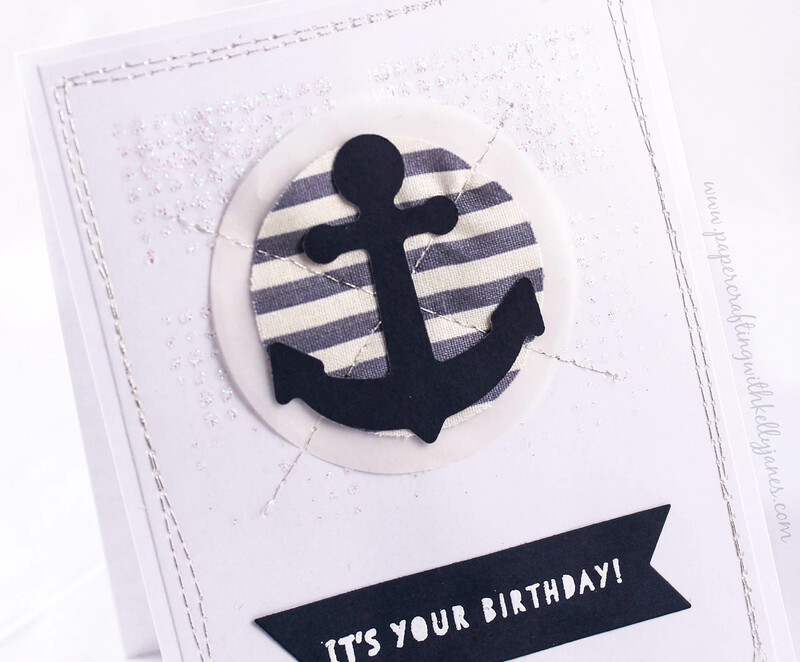 The sentiment is from the CTMH Hostess Exclusive Birthday Wish Stamp Set & is white heat embossed on Outdoor Denim Cardstock that was cut using a banner die. I added silver stitching around the panel and also through the die cut circles. It’s difficult to capture the Glass Bead Glitter Gel in the photos but it really does shine and has just the perfect texture!! Actually this card just screams texture with the heat embossing, the mixed media, the fabric and the stitching! Here’s a process video showing how it all came together!! I would love to see what you create based off Sketch #158. 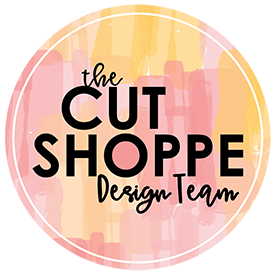 Head over to Atlantic Hearts Sketch Challenge to enter your papercrafting project! !